It has come to my attention – actually, it’s always been in the back of my mind – that my new website is not that great. Remember, I’m still a fairly new blogger; even though I have been doing this blogging thing for over a year now, I have only been a website owner for a mere few months! Truthfully, it’s exhausting, sometimes, too. Before I tell you of my plan for getting back to the basics of blogging on this darn blog, I want to point out that there is a lot of boring work involved in maintaining a website. I don’t like these basic responsibilities, I didn’t expect them, and I didn’t think they would annoy me so much when I asked these numerous questions about moving websites. I don’t like having to deal with the crappy parts blogging brings, like checking my spam folder for comments that are actual comments and NOT spammy comments, constantly updating all of my plugins, trying to improve the speed of my site, fixing broken links (even a plugin doesn’t do the whole job), and. . . the list goes on and on. Then there’s the whole promotion of my site. I don’t like being one of those people who use social media to get discovered. Marketing just isn’t my thing. But it’s all a part of blogging, regardless of who you are and what type of blog you have. My main problems are that I want to be Superwoman, doing everything myself, and I don’t always know how to do it all. I’m not talking about time management issues here; rather, I’m talking about being the owner of a successful site that provides great content and makes money, too. I haven’t even started with Adsense or Adwords or whatever the heck it’s called right now. Instead, I have been learning about some of the new SEO (search engine optimization) methods and even some coding (!) to help me become a better blogger. And now my head is filled with all sorts of geeky knowledge that has turned my brain to gobbledygook. In the recent months (basically, since moving to my own self-hosted site), I have found myself caring about things that never crossed my mind before. PageRank (PR) was not in my lexicon before I owned a computer! I also didn’t care about it, either, when I had a free blog, until my free blog somehow got rated as having a PR of 2. While this is not great, it’s not that bad, either, for someone blogging on a free platform! The thing is, I’ve lost sight of why I began blogging to begin with. My recent contact and interview with The Productive Superdad made me reconsider my initial reasons, though. I have even learned some html code! Even though I don’t truly understand how it all works, I have to admit that there are certain instances where knowing certain pieces of code come in handy. I can create boxes to put around text. I can change the colours of both the highlighted text and also the colours of the boxes, using hex code, and can combine them, too! I can create page jumps (and did many in both this tutorial post I wrote for Dear Blogger as well as in my web hosting guide). But, getting back to the whole reason why I am writing this right now, and why I began blogging in the first place. . .
Everyone has a different reason for creating a blog or a website, and my original reason, basically, was to create an author platform. Then I learned of The Writer’s Market – a book that lists just about every publisher there is, along with the types of books that each publishes. Generally, each year’s version is about two inches thick! Yikes. That’s a lot of information! In the 2013 edition of The Writer’s Market, there is a lot of advice about what to do to increase your odds of getting published. I have now done a lot of what was suggested. I started a blog on WordPress, I joined several social media sites and spent months connecting with others and gaining a “following,” and then I even went a step further and got my own hosted website because I found a truly awesome host – Alan Langford, the owner of Abivia (a web hosting company that also cares about feeding the hungry and donates a portion of their earnings to Food Banks Canada if you check a box that tells them do so). After I started blogging, I discovered many different things, and got swept up in it all. But I’ve veered off course from my original goal. And now, some days, I don’t even want to turn on my computer! I don’t like feeling this way. Q: How many bloggers does it take to change a lightbulb? A: 100. 1 to change it, and 99 others to tell the first one how it could have been done better. Giving people what they want is part of blogging. Any blogger will tell you that. Recently, a discussion I had with Lois (a woman living part of my dream life by taking so many cruises and then blogging about them) revealed to me a few things she didn’t like about my new site. One of these things was the comment form. I thought that using the CommentLuv plugin would attract more comments from readers. Ironically, the opposite has happened. Granted, I have never gotten tons of comments on my blog posts like some bloggers I know do, but I did have a lot of interactions with many of my readers. To rectify this problem, I have now disabled the plugin and am now using the default comment form that is a part of WordPress. Hopefully this will make commenting easier! I have also chosen to moderate comments again, so that I can be sure of what is getting posted on my site, and also so that I can ensure I respond to each and every one! I’m also going to add a more personal touch to my posts, and try not to be so serious and informative all the time. Just because I’m a teacher doesn’t mean I should be teaching you things all the time, does it?!? Naturally, I will share things with you and will still respond to readers’ requests for specific posts – like I did when I wrote the post about how to get free social media buttons for your blog. I want to help you, too, however I can. Answering comments and connecting with others is one of my favourite parts of blogging. Some might say, “That’s what social media is for,” (and they are right) but so is writing in a personal blog! Now, tell me, does this sound good to you? P. S. Don’t forget to grab your free ebook: 20 Blog Post Must-Haves. A link will be sent to you once this form has been submitted! I think you have done very well for someone who has been blogging for only a year. Yes we all need to stand back and ask ourselves what we are doing at times and changing course or changing things is a part of business and life. I too hate the tech stuff. I have questioned at times whether I should keep blogging as there are parts I do not enjoy. I also must confess I am a bit hit and miss with my schedule. I have had several months of internet and tech challenges. The hosting issue many of us had with HostGator and loss of information. Thanks for sharing your plans with us. I’m glad you stopped by. I don’t use Hostgator and so don’t know what happened. I’m thrilled to have an excellent host: Abivia. Lorraine — just do what your heart tells you. Blog when you want to. If you find maintaining a blog overwhelming, hire someone with the technical skills to do some of the “under the hood” work. 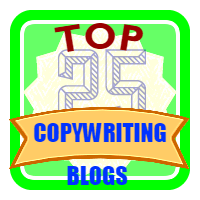 Writing your blog should be rewarding and not drudgery. Jeannette, I couldn’t agree with you more! Blogging should be fun, not a burden. Lorraine as long as the blog is enjoyable for you, you’re doing the right things. I think it’s easy to get preoccupied with stuff that just shouldn’t matter. I was making myself crazy with my blog and finally had to step back and ask myself what were my priorities. Working on my blog or doing my job? Painting a picture or tinkering in the garden? There was no right answer. I just had to understand that there are only so many hours in a day and each day brings time for different things. I think you need to do what’s best for you. I know that at times we take so many other people’s advice and although it’s good to hear we still need to do what’s best for us. I think that a lot of the behind the scenes stuff that goes along with blogging most of us who aren’t techie don’t enjoy that either. You know some of the nightmares I’ve had and it’s not fun. The promotion process too is time consuming, there is just so much to it. But if you enjoy sharing your thoughts and building a community then I hope you’ll be sticking around for a very long time. What you need to do is go over to Andy Bailey’s CommentLuv blog and comment at least once a month. He’s running a contest over there for you to win the premium version of the plugin where you’ll have more control over spam. I have none now girl so the free version doesn’t give you that option. It can’t hurt! I think you’ve come a long way and you still have so much more to share. Just hang in there. Adrienne, thanks for your vote of confidence and continued support. I feel inferior to you and Harleena and all the other bloggers out there that have been blogging longer than me. Yet, to the newbies “I” am the expert. Go figure. I know you love Andy Bailey. I’ll have to check him out, I guess. 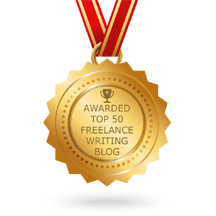 Being a writer myself and then stepping into the blogosphere, was not easy for me as I was clueless about how things work here, just as you mentioned. Each day has been a learning curve, and I am happy with the progress I’ve made and am making each day. Not to mention the never ending comments and my blog community that rocks! Yes, commenting system is something that I’m giving a lot of thought to now and might just remove CommentLuv and try to see how things go, though I get a lot of comments through it, but not everyone likes leaving their links, so depends on the kind of audience you get. Harleena, thanks for the vote of confidence in me and my posting schedule. It worked well for me on my old blog, and I want to duplicate it here. It’s true that the learning curve has been a bit steep, but I like experimenting, too, to see what works and what doesn’t. I have found that I don’t like CommentLuv on others’ blogs that much either, as I have to fill out each field each time I want to leave a comment. It seems like a lot of time is taken up doing just this, and I can see my readers’ points of view in that respect. Each few seconds all add up, and before you know it, minutes and hours have gone by. Never mind the time it takes to leave a comment and then a reply! I’m happy to hear this and I hope commenting will be easier. There have been a lot of times it wouldn’t let me, or I’d have to redo it several times. Donna, how did you find commenting today? Easier? I saw your comment right away, too; it didn’t show up in my spam folder. I think this way is better, isn’t it? It is good to see you have made up your mind to restart and do something big with more strength. Quitting and rejoining are part of our life. We sometime quit which we should not have done while we also sometime quit which we must and then be proud of our decision. Thanks for sharing your awesome thoughts on comeback and I wish you a big success in your blogging journey. Max, thanks for your approval of what I’m doing. I know that personal posts are more popular. I think it’s because we all like knowing personal stuff about everyone else! Plus, it’s good to share our successes (and our failures, too) as we can all learn from one another. You don’t have to be a teacher, either, to share good things. As long as you are honest and clear about what you are writing, others will relate to and understand you. That’s what makes blogging so cool! Sometimes we over think things and made it more difficult than it actually is or has to be. Taking a step back and looking at your whole situation and getting back to basics is wonderful advice and I hope it works for you. If you want your group back you need to go out and seek them and communicate with them. Arleen, I agree with you. Sometimes assessing the situation from a basic point of view is needed, and communication is key. That’s one of the reasons I wrote this post. It was honest and from the heart. I think that you are doing the right thing for your heart, from the sounds of it. I understand you got deep into the bits and bolts of blogging, from behind the scenes, but it’s ultimately the content that matters. So don’t bog yourself too far down in code and PageRank – if your content is good time and time again then it will be rewarded, with more followers and by search engines too. Wishing you all the best – and the new blogging schedule sounds great too. You’re right. Doing what feels right to me, deep down, is what matters, not PR or any of the other techie stuff! Connecting with others and building a following of friends is much more important to me. Rock on and keep writing that poetry, my friend. The world needs it. If you have more fun with your blog, your readers will probably have more fun with it too. Thanks for the pat on the back, too. I actually really do miss my old blog. 🙁 But now that I’ve ironed out all the techie stuff (for now), I want to “just blog” again!